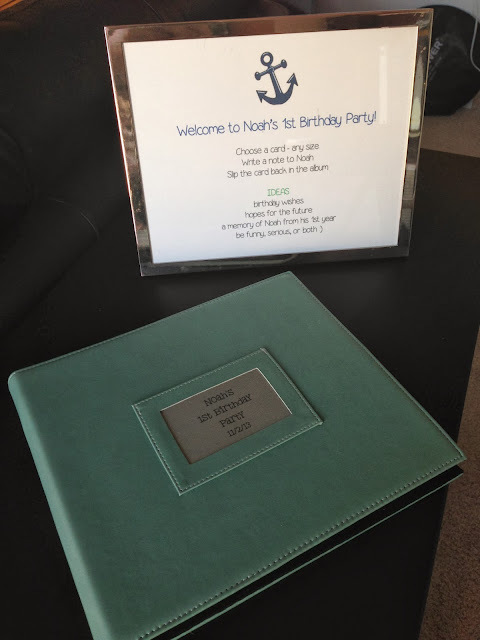 For Noah's Birthday, I wanted to have a sign in book/photo album to remember the day and the guests who helped us celebrate. I have been a fan of Project Life for a few years now, and when I saw Becky do this for a wedding, I knew this is what I wanted! 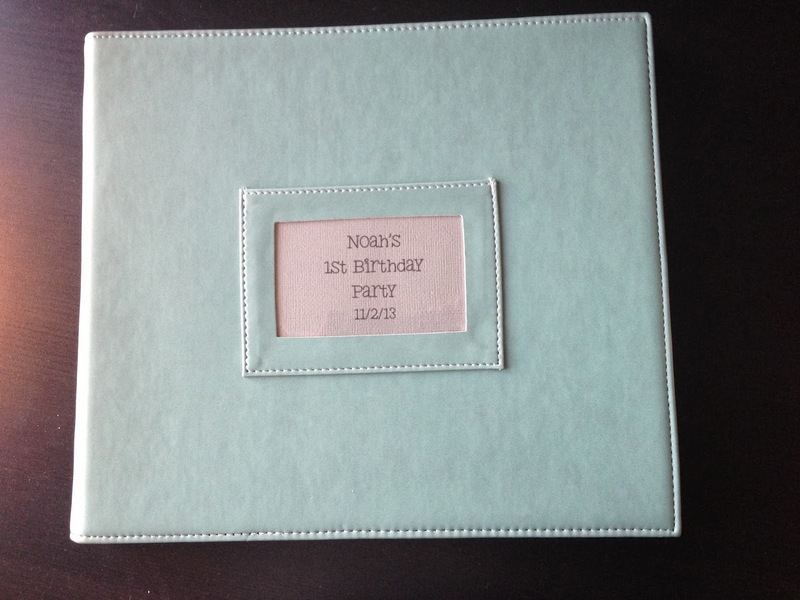 I used one of her mini albums (in blue) and some of the cards from my Honey Edition (that I picked up at Michaels). I then filled the book with pictures of Noah from his first year. I will place a stack of journaling cards next to the book so that people can pick their favorite. If they have a lot to write they can even use a 4x6 card instead of a 3x4. They can then slide the card into whatever empty slot they choose. Upon walking into the party, the guest book, journaling cards, and framed instructions will greet my guests. Since I often never know what to write for these type of things, I loved that in Becky's "instructions", she gave ideas of what to write. 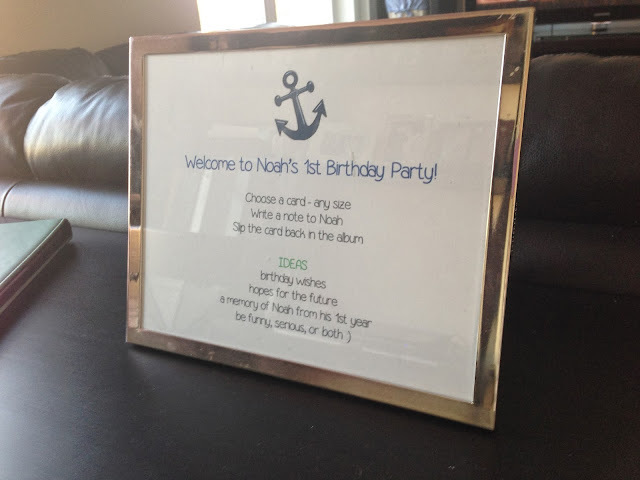 I of course altered these a bit since this is for a 1st Birthday instead of a Wedding, but the idea is the same.